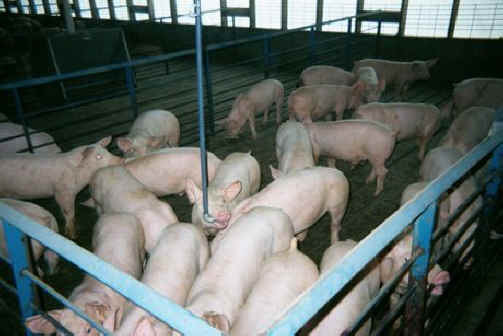 (Pig Exploitation - Factory Farming - 15) It appears that this factory farm is in the process of "re-stocking" their pens. While the pigs are still quite young, they have a little space in which to move around. As they get older and grow, they get crowded close together. However, at no time do they get to go outside and enjoy the world that God created for them.